President Trump has literally turned the war on ISIS around. We are stomping them out of existence wherever we find them, just like Mattis promised. They have lost 98 percent of their territory in Iraq and Syria. Half of those massive losses came during the 11 months that President Trump has been in office. A large part of this is due to Trump reversing the rules of engagement for our military and putting control back into the hands of military leaders, not bureaucrats. They can attack in real time now without waiting for permission from some arrogant politician who knows nothing about our troops who are fighting out there. That, by the way, was on purpose. Obama wanted ISIS to get away and flourish for his own reasons. And they had nothing to do with the U.S. or saving innocent lives. They had everything to do with bowing to terrorists and making nice with Iran. “Micromanagement from Washington, DC, does not win battles,” President Trump said in August. “These killers need to know they have nowhere to hide, that no place is beyond the reach of American might and American arms. Retribution will be fast and powerful.” Good to his word, these killers have experienced just that. Unlike Obama, Trump means to eradicate ISIS. In 2015, there were 45,000 ISIS Jihadists in Iraq and Syria. Now, there are fewer than 1,000 and their numbers are dropping by the day. “U.S. officials credit nearly 30,000 U.S.-led coalition airstrikes and regional partners on the ground for killing more than 70,000 Jihadists,” reports Fox News. Don’t forget Mattis. The guy is a terrorist killing machine. ISIS at one point held territory the size of Ohio. Now, they hold a very small patch along the Iraq and Syrian border. And they won’t hold it for long because our military is coming for them just as we promised. 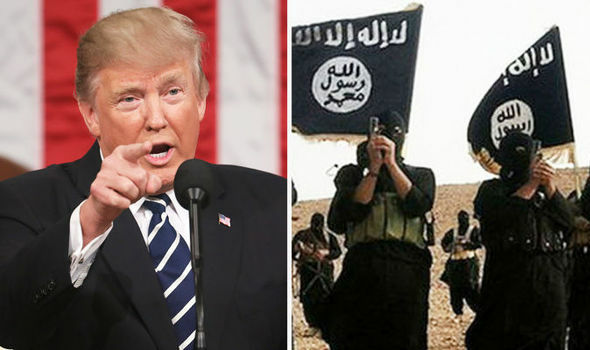 “Deptula thinks the ISIS fight would have ended much sooner if then-President Obama had given his military commander in the field more authority,” according to Fox News. He compared Obama’s strategy to Lyndon B. Johnson’s in Vietnam. That’s exactly right. He made a quagmire of the fight. Trump and Mattis had to clean up Obama’s mess. “Obama was cautious, he was analytical, he always wanted to see all the sides of the story before he took any action — possibly to a fault,” David Rothkopf, the chief executive and editor of the Foreign Policy Group, told The New York Times in April. “I think Trump is the opposite of all those things,” he continued. And I think it goes even deeper than that. Obama was interested in placating terrorists… Trump wants to annihilate them. I’ll take the second option with a vengeance.